Update: Authorities say the 3-year-old who was celebrating her birthday has died from her injuries. The suspect, 30-year-old Timmy Kinner, has been charged with first-degree murder. 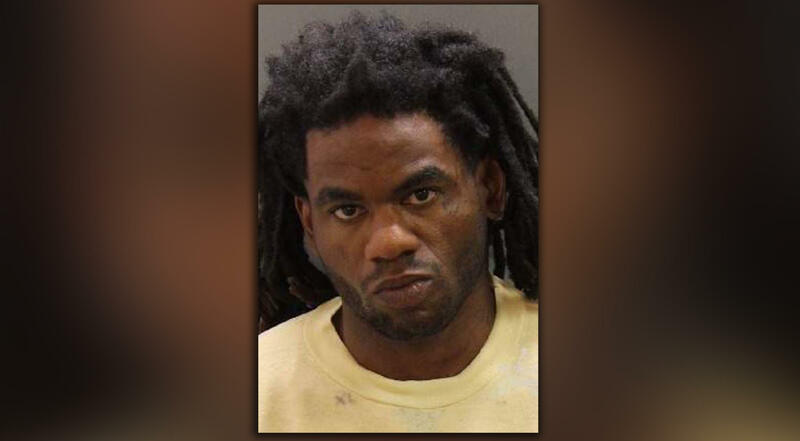 BOISE, Idaho -- A man who had been asked to leave an apartment complex in Boise returned the next day and stabbed children celebrating a 3-year-old girl's birthday, authorities said Sunday. Six children were injured in the attack, along with three adults who rushed to their defense. Boise Police Chief William Bones said the victims are alive but some are gravely injured. Timmy Kinner, 30, of Los Angeles, was arrested and charged with nine counts of aggravated battery and six counts of injury to a child, CBS affiliate KBOI-TV reports. Police said they had not yet identified a motive. "Our victims are some of the newest members of our community. They're victims of their past homes who have fled violence from Syria, Iraq and Ethiopia," Bones said at a news conference Sunday. "This was an attack against those who are most vulnerable -- our children." Bones said investigators have not yet found "specific evidence" that would indicate the attack was a hate crime but said they would be looking into that possibility due to "the nature of the location and the victims." Esrom Habte, 12, and Fathi Mahamoud, 11, said they were playing behind their apartment when the attack unfolded. Fathi said some of the stabbing victims were their friends. "It was kind of scary because we were outside," Esrom told reporters alongside his mother. "He was chasing people and stabbing people." He said the children saw Kinner saying "bad words" and repeatedly "stabbing a grown-up really hard." The children ran into an apartment and hid in a closet with other children until police told them it was safe to come out, Esrom said. Police found stabbing victims both inside the complex and in the parking lot, and Kinner was arrested a short distance away. "The crime scene, the faces of the parents struggling, the tears coming down their faces, the faces of the children in their hospital beds will be something that I carry with me for the rest of my life, as will every first responder that night," Bones said. Bones said the attack resulted in the most victims in a single incident in Boise Police Department history. The apartment complex is just off of one of Boise's busier streets, separated from the traffic by one of the many irrigation canals that run through the city. Residents of the apartments and the rest of the community were "reeling" from the violence, Bones said, and will need long-term community support. "This isn't something that gets over in the days or weeks that follow. ... The level of the some of the injuries will be life-altering in a very negative way," Bones said. Megan Schwab, who works with the International Rescue Committee in Boise, told the Associated Press the organization was working to provide temporary housing, counseling and other support to those affected by the attack.